Most of us adults love celebrating our birthday, but children – well they think a birthday is a monumental, once in a lifetime deal! 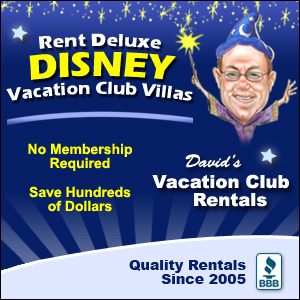 Great news – it can be just as incredible as they have dreamed when celebrating at Disney World. Here are our top 7 ways for children to celebrate their birthday at the most magical place on earth! What’s a great birthday without the right birthday gear at Disney World! Finding the right birthday accessories can be the simplest way to let your kiddo show of that it’s their big day. Visit Guest Services upon arrival to the park (or when checking in at your resort) for a Birthday Button. These are free! We also suggest purchasing some Birthday Mickey Ears and maybe even a Mickey Balloon. Take their wardrobe one step further by either buying a “It’s My Birthday” shirt before your trip or having a shirt made. Something like, “I’m celebrating my 6th birthday at Disney World!” made up on a shirt would be a fun way to let others in the park know your child is celebrating. If your child is old enough to share what they like or don’t like, you may want to incorporate them in some planning for their birthday before you arrive. One of the best treats for a child is letting them make an important decision – like which restaurant they want to dine at. It’s also fun to let them have their top 5 (or more) picks of attractions they simply must ride on their big day! Give them a chance to feel like they are contributing to their birthday plans. Quick tip – if you do dine at Disney World to celebrate their birthday, be sure to add their birthday celebration to all your dining reservations. You never know what Cast Members may do to surprise the birthday boy/girl! 3 – It’s All About the Desserts! Our daughter might love presents, but we think she gets even more excited about the treats that seem to be around every corner for her birthday. Besides the standard, yet incredible treats you’ll find at Disney World, you may want to look at purchasing a customized cake for your child from Disney Floral and Gifts. If you don’t want to go the cake route, we also recommend heading to the Beach Club for the Beaches and Cream Soda Shop’s specialty known as The Kitchen Sink. Another great place to visit on a birthday is Goofy’s Candy Company at Disney Springs. Just be aware that a sugar rush is on the way just by stepping foot in this place! Princess Theme: Stay in a princess room at Disney’s Port Orleans Resort; Get a Bibbidi Bobbidi Boutique makeover; Enjoy the Disney Princess Tea Party at Grand Floridian Resort. Star Wars Theme: Sign your young Jedi up for Hollywood Studios Jedi Training (see video below); Make a lightsaber at Disney Springs or at Hollywood Studios; Make reservations for the Star War: A Galactic Spectacular Dessert Party. Dinosaur Theme: Dine at T-Rex at Disney Springs / Visit Build-A-Dino at Disney Springs / Ride DINOSAUR and visit Dino Land U.S.A. at Animal Kingdom. There are so many more themes! Just go with what your child loves and see what Disney may have to offer to make their day extra special. Is your child an “I want!” child? By that we mean, do they constantly want everything and anything they can get their hands on in the Disney gift shops? Well, make their birthday extra special by letting them know if advance that they will be able to pick out their very own birthday present! If you give them the option of selecting one or two things – or giving them a price point if they are old enough. Your child will be able to pick out the toy they have their hearts set on. While celebrating a birthday in the parks at Disney World is a blast, be sure you are open to options Disney World may have available outside of the parks. Some of our daughter’s favorite things to do are the outside recreational opportunities such as miniature golf, resort pool swimming, horseback riding, and even the arcades. There are recreational activities for just about every age so we’re sure you could find something that your child would like to do… plus, this would save you a park ticket! The top way to bring a birthday celebration to a Disney Resort is to visit DisneyFloralandGifts.com and select a package that can be in your room before you even arrive! It can also be delivered on a specific day. They have some incredible birthday packages for children of all ages that may even match the birthday themes we mentioned above. We also recommend adding a personal touch from the characters! Simply ask the Cast Members at your resort’s front desk if they can have Mickey make a phone call wishing your child a happy birthday. They typically also provide a birthday card signed by Mickey (and sometimes other characters) in your room! We just know your kiddo will have a magical birthday that they will remember for many years to come!